You can never go wrong with bacon.. yummm! This is an easy and fun twist to a delightful part of breakfast. The recipe, found on Food and Wine, serves for 6. This is AMAZING. Holy crap. You should compile a cookbook or something. WOW! I agree with Jennifer. Looks amazing! Oh my gosh! Yes! 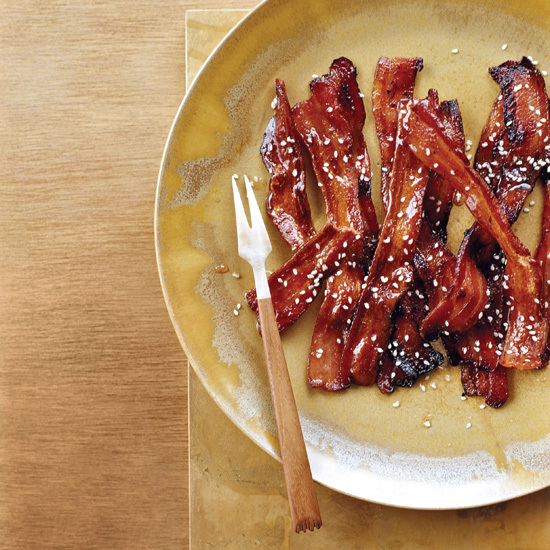 Bacon perfected! Thanks for finding these gems for us. You took bacon to the next level! Yum! This would be awesome to make jalepeno poppers with!